« Preview Screening ‘The QiH Act’!!! Finally! 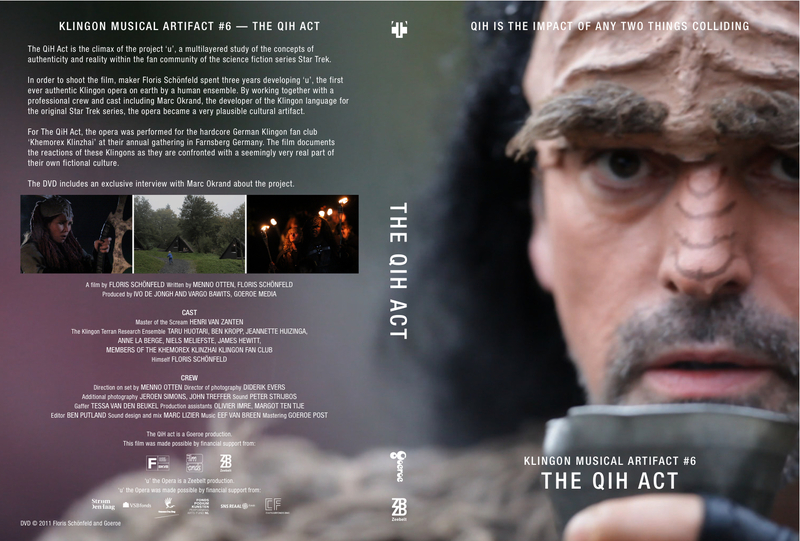 The documentary The QiH Act is available via mail order! The film was shot at the annual gathering of the Khemorex Klinzhai Klingon fan Club in Farnsberg Germany last September. We were able to perform the opera ‘u’ in front of an (almost) completely Klingon audience for the first time. Buy it and see what they thought of it! The DVD also includes an exclusive interview about the opera with Mark Okrand and other bonus material. The cost of the DVD is 15 Euro or 22 US dollars. Shipping inside europe is 3 euro and worldwide is 3.50 euro. Please send an email to info@goeroe.nl and you will receive the rest of the payment information. Let us know what you think by posting on the site or on our facebook page!! !